There are so many exciting things to do in and around Austin that it was hard to narrow down this list! We finally came up with the TOP 10 THINGS TO DO IN AUSTIN, although the list could be endless. Enjoy and go have some fun and see why we LOVE the Capital City so much! Austin’s “most loved park”, Zilker Park, is next to Lady Bird Lake in downtown Austin. This 351-acre park is one of the best places to visit in Austin because of the number of fun activities and special events it has to offer throughout the year. With Barton Springs Pool, the Zilker Park train, the Zilker Botanical Gardens, the Zilker Holiday Tree, the Zilker Hillside Theatre, the Umlauf Sculpture Garden and Musuem, and numerous events including the Zilker Park Kite Festival and world-famous Austin City Limits music festival. Barton Springs Pool is the fourth largest natural spring in Texas and one of the crown jewels of Austin. It is a must “thing to do” for anyone visiting or living in Austin. It is huge in size, three acres to be exact and stays an average 68 degrees year-round. The bats under the Congress Avenue bridge is one of Austin’s most popular and well-known attractions. Between late March and early November, Austinites and bat enthusiasts watch as the bats emerge under the South Congress bridge at sunset and go hunting along Lady Bird Lake. 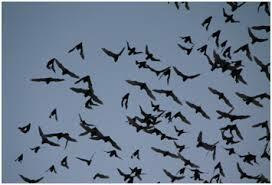 They fly off in search of food, mostly 20,000 pounds of insects per night! The population is estimated during the summer time to be between 750,000 and 1.5 million during its peak. Lady Bird Lake, formally known as Town Lake, is located downtown and serves as a social hub for runners, walkers and cyclists. It features 10 miles of hike and bike trails that border the lake. You’ll often see visitors to the area taking photos near the memorial statue at Auditorium Shores honoring the late bluesman musician Stevie Ray Vaughan. The Austin Zoo’s mission is to assist animals in need of rescue, rehabilitation, and education. It’s situated in a beautiful Hill Country setting in South Austin and features more than 350 animals from across a hundred different species. Because the zoo and sanctuary provides a “forever home” for these rescued animals, it is a wonderful place to take families. The Petting Corral is now open and offers you an opportunity to get face to face with the goats and sheep. The Zoo also schedules weekly activities including story time on Tuesdays and Thursdays. The Bob Bullock Texas State History Museum is located in downtown Austin and is one of the most popular attractions in Central Texas with more than 6 million visitors to date. The museum tells the story of Texas on three floors of excellent exhibits built around three themes as big as Texas: Land, Identity, and Opportunity. The museum also houses Austin’s premier IMAX Theatre with its 400-seat state-of-the-art theatre featuring both 2-D and 3-D films. The Texas State Capitol is a beautiful site to see with its manicured lawns, monuments, and historical buildings. The Capitol building itself is just as beautiful inside and is definitely worth talking a guided or self-guided tour. The three-story home to the Texas State Legislature and Governor of Texas is the oldest office building in the state of Texas and offers a rich history of Texas through a variety of exhibits. Hamilton Pool is a historic swimming pool and part of the Balcones Canyonlands Preserve about 30 miles west of Austin. It has a magnificent 50-foot waterfall created by spillage from Hamilton Creek. Even in times of drought, the pool has remained almost constant with the waterfall never completely drying up, although it does slow down to a trickle at times. It is a favorite summer swimming spot for Austinites and visitors alike. Just one word of caution – the pool and creek are not chemically treated and occasionally swimming is restricted. Lake Travis is the largest lake in the area covering almost 19,000 acres. It is a beautiful mix of Texas Hill Country and fresh water. It’s a great place to visit for the day or spend the weekend. There are plenty of water activities to choose from like swimming, boating, jet skiing, fishing, and scuba diving. But what’s also great about visiting Lake Travis is that you also have more to choose from onshore. There are tons of preserves and parks as well as horseback riding, hiking, incredible restaurants, fun beaches like the Shore Club Volente Beach Waterpark, and vacation rentals. It is a very popular vacation spot in Texas and a must see if you are visiting Austin. If you've visited Austin before then you know that 6th Street in downtown Austin is one of Austin’s most well-known attractions! It is the reason why Austin is known as the “Live Music Capital of the World” with its various live music, restaurant, and bar venues. It is also home to many annual concerts, festivals and events including the world-famous South by Southwest Music Festival and Pecan Street Festival. There is nothing quite like walking nearly the mile of venues lining historic 6th Street.